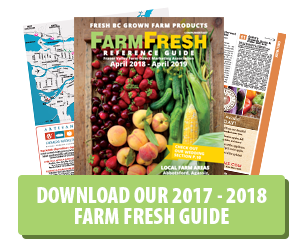 Everything you ever wanted to know about eggs, courtesy of the BC Egg Farmers. You’ll never look at eggs the same again. No. Both white and brown eggs have the same nutritional value and cooking characteristics. Shell colour depends on the breed of hen. What determines the grade of an egg? Eggs are graded by weight. Eggs are also checked for good shell quality, interior quality, and the size of their air cell. Eggs are classified as Grade A, Grade B, or Grade C. Eggs sold in retail stores are Grade A quality. What determines the size of an egg? Eggs are graded by weight. Grade A eggs are electronically weighed to classify them as Jumbo (70 gram or more), Extra Large (63-69 grams), Large (56-63 grams), Medium ( 49-55 grams), Small (42-48 grams), and Peewee (under 42 grams). The type of feed influences the colour of the yolk. All feed is carefully balanced to ensure the laying hens are getting the vitamins and minerals they require for good health. Wheat-based feeds tend to produce a paler yolk colour while corn-based feeds produce a darker yolk colour. Geography, across Canada and across international borders, influences which grain dominates the feed ration and therefore the colour of the yolk. Yolk colour does not affect flavour and is not indicative of the nutritive value or quality of the egg. How long does it take for an egg to get from the farm to the store? At the farm, eggs are collected daily, then placed in coolers. They are picked up during the week by refrigerated trucks and taken to federally-licenced egg grading stations where they are refrigerated before and after grading. Eggs are usually washed, graded, and packed into cartons within 24 hours of arrival. Refrigerated trucks deliver the eggs to retail stores soon after grading. BC eggs typically arrive at the store within 4-7 days of being laid by hens. Now that’s fresh! What does the “Best Before” date mean? Egg cartons are stamped with a “Best Before” date, usually 35-40 days after the date of egg grading. It indicates the length of time that eggs will maintain their Grade A quality if stored properly in the refrigerator. After that time, the eggs will still be safe to eat, but slowly become lower in quality. Most people prefer to use older eggs in cooking and baking. For best results, eggs should be consumed by the “Best Before” date. What’s the best way to store eggs at home? Keep egg refrigerated. 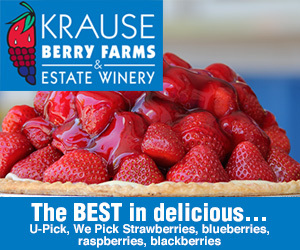 They lose more freshness in one day at room temperature than they do in a week in the fridge. Storing eggs in their original cartons maintains moisture and prevents absorption of odours from other foods. Keep eggs on the fridge shelf rather than in the door to avoid frequent temperature fluctuations. Can I use raw or partially cooked eggs in recipes? When preparing raw or lightly cooked eggs, for example in eggnog or Caesar salad you must use proper food handling methods. Use only Grade A eggs that have been refrigerated. Grade A eggs must have clean, uncracked shells. Wash hands in hot, soapy water before and after handling eggs. Eat the dish immediately after preparation or immediately refrigerate the product until served, keep it cold during serving, and consume it the same day it is prepared. Discard leftovers. What nutrients are in an egg? There are numerous health benefits – eggs naturally have many essential and critical nutrients. Eggs contain high quality protein, vitamins A, B6, D, E, thiamine, riboflavin, folate, pantothenic acid, iodine, phosphorous, magnesium, iron, calcium, and zinc. Lutein and zeaxanthin are two antioxidants naturally found in eggs that are important for healthy eyes and the prevention of age-related macular degeneratino (AMD). Choline contributes to healthy mental development and attention span. About half of the egg’s protein is in the whites, but almost all of the egg’s nutrients are in the yolk. So it’s best to eat the whole egg if you want to gain the health benefits of eggs. Are hens given hormones or antibiotics by injection or in their feed? Hens are never given hormones. Since the 1960’s, it is illegal in Canada to give hormones or steroids to hens that lay eggs. Any antibiotics or medications are only given under the direction of a veterinarian. If any hens become ill, their eggs are diverted away from public consumption until the hens are well again. Young laying hens are vaccinated for the same reason we vaccinate our children: to prevent specific diseases. This is true for all types of Canadian grade A eggs available at grocery stores. What types of eggs can I buy at the grocery store? Our consumers now have more choices than ever when they want to eat BC Fresh Eggs. The majority of eggs produced in BC are the classic white eggs laid by hens raised in a conventional cage system. BC egg farmers also raise hens in other flock management systems that specify housing and feed requirements. These eggs are called Specialty Eggs. All BC-produced eggs meet the highest standards for cleanliness, quality, and freshness. Classic white eggs are from breeds of hens (e.g., White Leghorn) with white feathers which tend to lay white-shelled eggs. They have the same nutritional value as Classic Brown eggs. Brown eggs are from breeds of hens (e.g., Hyline Brown, ISA, or Lohmann) with brown feathers which tend to lay brown-shelled eggs. They have the same nutritional value as Classic White eggs. Omega-3 enhanced eggs are from hens that are fed an all-vegetarian diet with significant amounts of ground flaxseed. As a result, these eggs are a great source of omega-3 fatty acids. Free run eggs are from hens that are housed on litter and/or slotted floors. They can roam about on the barn floor. Free range eggs are from hens that are housed on litter and/or slotted floors. They can roam about on the barn floor and have access to an outdoor area with vegetation, weather permitting. Certified organic eggs are from free range hens fed a certified organic diet and raised in accordance with guidelines issued by certifying organizations. Organic eggs in BC are certified through either the Certified Organic Associations of British Columbia (COABC) or OCPP/Pro-Cert Canada. Why are some hardcooked eggs hard to peel? A hard-to-peel hardcooked egg means that it is really fresh! If the egg is very fresh, air has had very little time to enter the pores in the shell, and get between the shell and the shell membrane. The membrane allows the egg white to cling tightly to the shell. Use eggs that have been in your refrigerator for at least a week for easier peeling. What causes the green “ring” around the yolk in hardcooked eggs? Cooking eggs for too long or at too high a temperature may cause a chemical reaction between the naturally-occurring iron in the yolk and sulphur in the egg white. The result is the formation of a harmless greenish coating on the yolk’s surface. Proper cooking methods and chilling hardcooked eggs in cold water as soon as they are cooked prevent the formation of this discolouration. What are those stringy things in egg whites? Known as chalazae (sha-lay’-zee) , these thickened strands of egg white protein fastened to the top and bottom of each yolk keep it centred in the middle of the egg. They are unnoticeable when the egg is cooked. What nutrition info is on egg cartons? 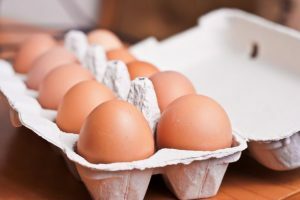 Egg grading stations in Canada have phased in changes to egg cartons to comply with amendments to Health Canada’s Food and Drugs Act regarding nutrition labeling. As of January 2006, nutrient information about calories, fat, saturated fat, trans fat, cholesterol, sodium, carbohydrate, fibre, sugars, protein, vitamins A and C, calcium, and iron are required on all prepackaged foods. The consistent labeling format will make it easier for consumers to make informed food choices. Some of the nutrients listed on the Nutrition Facts Table will have a value of zero on egg cartons as they are not present in eggs (e.g., trans fat, fibre, sugars, vitamin C). The nutrient values in the Nutrition Facts Table will vary depending on the size of eggs in the carton (jumbo, extra large, large, medium, small, peewee). If the eggs are packed in a small carton (6 or 8 packs) without sufficient space for nutrition labelling, a toll free number is provided for obtaining the nutrition information.